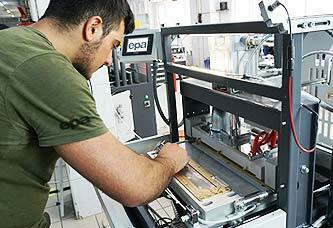 EPA AKIN Machinery is delivered as either exwork or customer delivery. Our machines come with complete manuals, machine procedures, and warranties. Installations are done by our authorized technical services representatives and necessary training is given to operating personnel on-site after the installation. 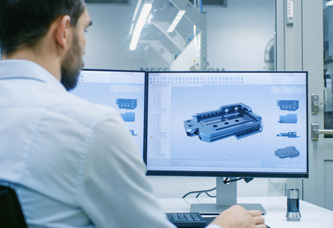 Once delivery has been accepted, installation and training have been completed, and the warranties have been signed, the machine delivery process comes to an end. If you have any questions or concerns once our installers have left, please call our customer service department for additional support. As an after-sale service, performance measures are kept in our data-processing files after every maintenance issue completed on a machine and the customer is periodically informed about the performance of their machine. 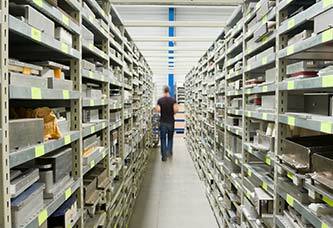 EPA AKIN keeps a fully-stocked warehouse of approved parts for our machines. We advise, in the event of a repair, that only original spare parts be used. Using original parts helps extend the life of your machine and prevents you from unexpected pauses and breakdowns. The spare parts used by our authorized technical services representatives are under a one-year warranty against manufacturing defects. Please do not hesitate to call +90 850 304 57 70 and ask questions of our specialist staff. 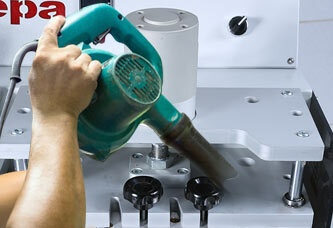 They can help assist you with any product issues and offer practical and economical solutions to any machine problems. As an after-sale service, performance measures are kept in our data processing service after every maintenance and the customer is periodically informed about the performance of the machine. Our technical service personnell is well trained and made ready for solving problems at where they occur. At the 98% of the maintanence services we make, problems are solved in our customers factory. To keep your EPA AKIN machine running its best, we recommend daily aerial cleaning (with an airgun) of the machine and its filters (if there are any). Filters (if there is any) are to be cleaned after every workday. With the machine turned off, the wallboxes should be cleaned weekly. Regular upgrades and maintenance should be done periodically.